Monster Muleys, elusive Coues deer, you name it! 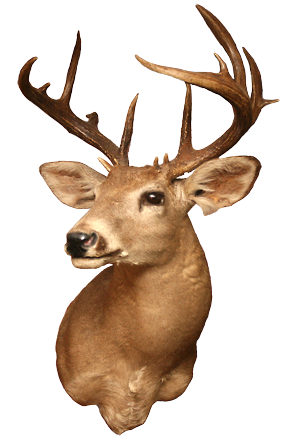 Sonora, Mexico is home to some of the finest trophy mule deer in all of North America. With nearly 180,000 acres of managed hunting preserve within Sonora, Gabino's Trophy Hunts offers the best of the best. Out here, the harsh elements, rugged terrain and evasive game combine to test your skills and intensify your experience. We promise you an extraordinary adventure that you won't want to miss. This is a rugged country seemingly untouched by time. Here you can escape completely from the cares of everyday life and focus on the reasons you came - trophy game. You'll find it, too. Not only will you find Mule Deer, but Coues Deer and Desert Bighorn Sheep as well. The country where you hunt these big game trophies may be rugged, but it's easy to get to them. Both AreoMexico and America West have daily flights from Phoenix or Tucson directly to Hermosillo, Mexico. When you arrive at the airport in Hermosillo you will be greeted by Frank Ruiz and his staff, assisted through customs and immigration and cleared for entry into Mexico with your guns. Driving from the airport, all hunting properties can be reached in under an hour and a half. Spend the rest of the day getting ready for the hunt and sighting in your rifle. All licenses, gun permits, game caping, preparing skin for mounting and paperwork for returning to the states are taken care by Gabino's staff. Frank Ruiz has perfected the art of providing big game hunts in Mexico for your trophy of a lifetime. A deposit of 50% of the cost of your hunt is required to confirm your reservation. The remaining 50% is due 30 days prior to your arrival. There are no deposit refunds upon cancellation, but if you cancel early than 60 days before your hunt, you may be able to pick a different date subject to free spaces.